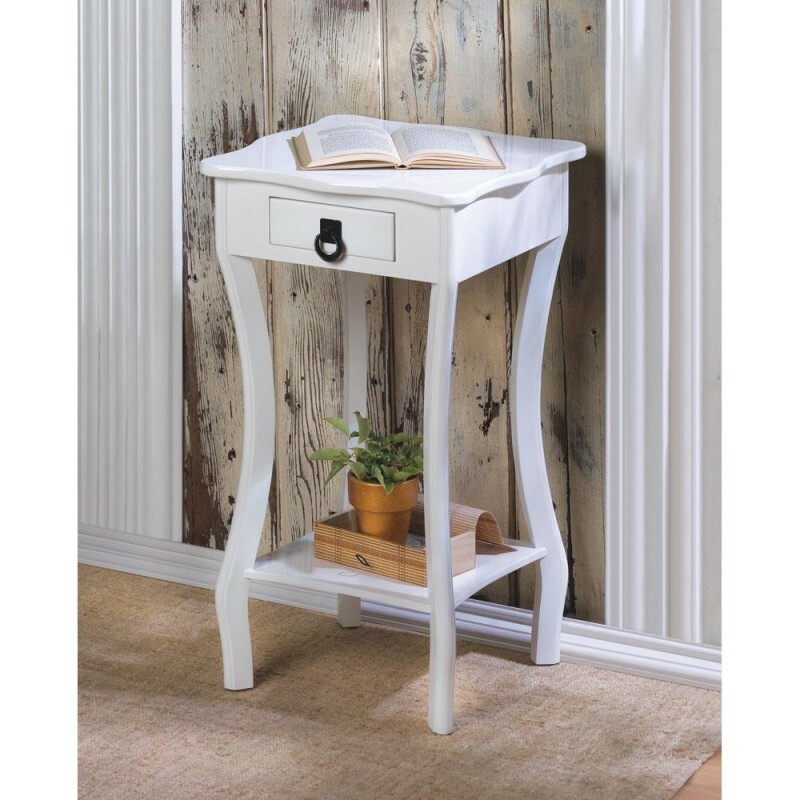 This sleek scalloped accent table attests to your outgoing design style while complementing your current décor. Curved legs highlight the lower shelf, and the scalloped tabletop is striking with or without anything displayed on it. The table, lacquered finished in white, also features a pullout drawer with a dark metal ring pull. 15 5/8" x 15 5/8" x 26 3/8" high.